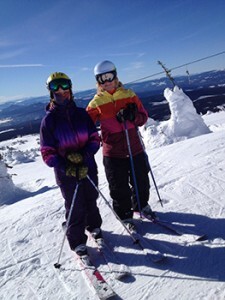 Great weather-excellent pond-the Blue Bird Sky type of Day was perfect to end the season. Thanks to Global TV, CTV and CBC for coming out and getting some vintage coverage of the wipeouts! Today 10 am – 5 pm Last day to ride. Slush Cup at 1:30 pm. Thanks again for your support over the years. Camryn gets wet at Slush Cup! 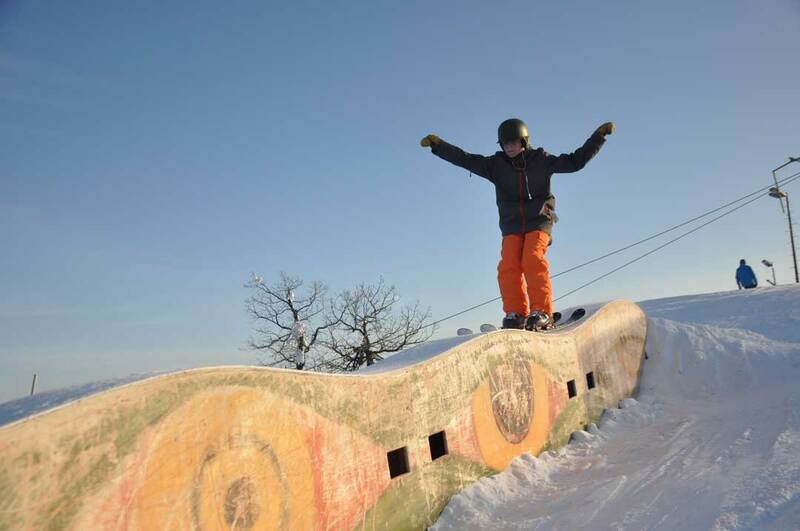 The last 2 days of the season are this weekend! The snow has held up really well and we even got 3 cm of fresh snow this morning. 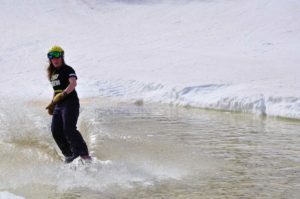 As per usual we will have Slush Cup on sunday-as we always say-the season’s not over until someone gets wet! It was a crazy season with all the cold weather and windchill closures. 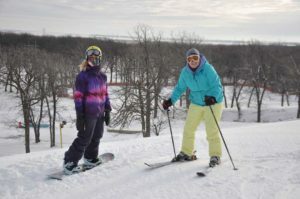 Sorry for that-Mother Nature through a lot of challenges at local ski areas this year. Tomorrow is our last Bonus Day for the season. The snow will be fresh groomed and the temperatures just perfect for Spring Skiing. MIght be a good day to call in for a mental health day :). Get ready for your spring break trip. Sleep in rates for rentals and lifts. We will be open this Sat. & Sunday 10 am – 5 pm. Night skiing is over for the season. Slush cup date is still to be determined as we keep a close eye on the weather. 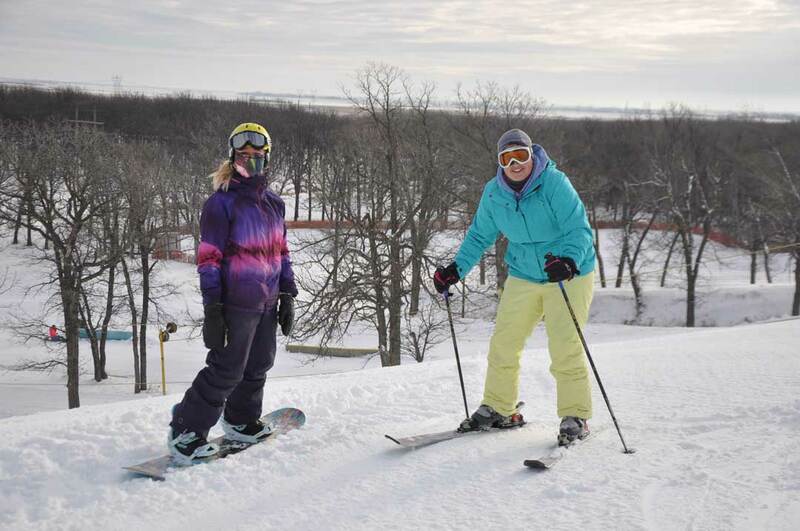 We start with a bonus day Friday Feb. 15th and Night skiing 6:30 – 10 pm with great deals on our Family Fun Package! Then Sat. & Sunday 10 am – 5 pm. Try a pair of snowshoes and channel your inner Coer de Bois (Voyager). Lots of snow and great trekking around Stony! Monday is Louis Riel Day and we are open. What a great way to celebrate than order that Large Poutine! Only 6 more weeks of winter- gotta do it! WE will be closed Dec. 31st and January 1st due to extreme windchills! Stay warm welcoming in 2019. See you January 2nd when it is a lot warmer! December 22, 1988- The Dewars had purchased Stony from the Hinckel Family. December 22 was the big day-they opened for their first season! 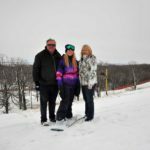 Now 30 years later we are still going having added runs to the ski area, upgraded the snowmaking and grooming, And finally embracing the sport of snowboarding. Camryn joined the Team in 2000 and is a vital part of the partnership. She gets far more snow time than Gary & Heather do. What will the next 30 years hold-not sure but we have been proud to be a vital part of the local community and have employed more than 600 young people in 30 years. 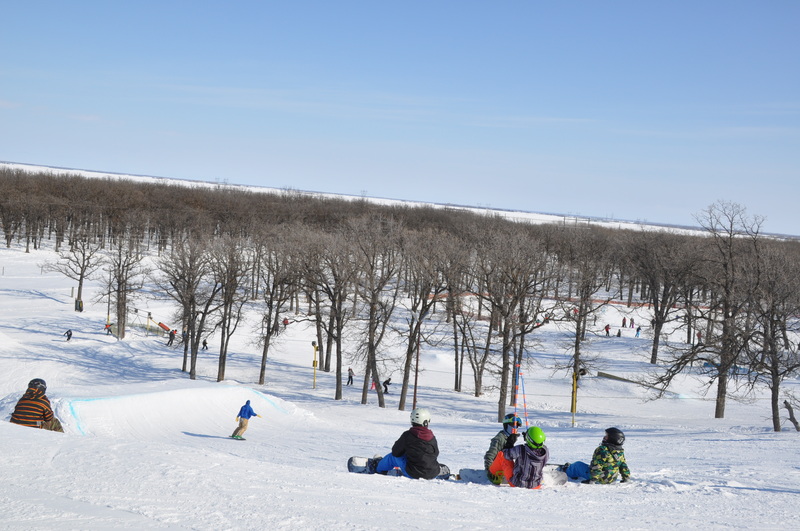 Over 500,000 skiers and snowboarders have played on our hills over the years. Spring time- or is it that time yet? Due to the -16C at night and below daytime temps we will be closed March 30-April 1st. Camps are cancelled. Sorry! With the cold at night and below daytime temps we can’t even try to groom. So have Happy Easter and we hope to be open next weekend for one last weekend. Slush Cup will happen next weekend- time and details will be updated. Stay tuned. Stony Mountain Ski Area has been recognized as #7 Top Best Value Ski Area in Mid-Western North America. Stony received national recognition in the 2017-18 Best in Snow Awards, Powered By Liftopia. 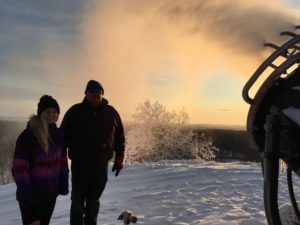 Honouring ski resorts across North America, Liftopia — the largest online and mobile marketplace for lift tickets and mountain activities — announced the 2017-18 Best in Snow Awards.. 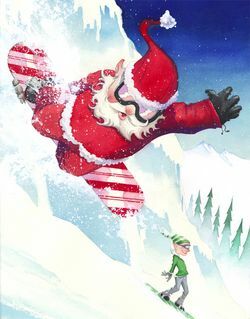 The awards bring uber-local, relevant and must-know intel to beginning skiers as well as ski and snowboard aficionados. Unlike other ski awards, the Best in Snow Awards is the only ranking that calculates survey feedback from thousands of skiers and snowboarders and incorporates the largest dataset in the industry to determine the ski areas consumers are most passionate about. Winners are ranked and divided among seven categories for regions including the Northeast, West Coast, High West, Southeast and Midwest. “Skiers are by nature adventurous and today’s travelers are looking for the new, the interesting, the unknown areas to vacation. By measuring customers passion for their favorite areas, The Best in Snow Awards give consumers an opportunity to see which ski areas may become their next new favourite. Our method ensures a level playing field for ski areas of all sizes and brings skiers lesser known ski areas in addition to the larger ones we already know and love,” said Evan Reece, co-founder and CEO of Liftopia. Methodology and the complete list of winners in the 2017-18 Liftopia Best in Snow Awards can be found here. 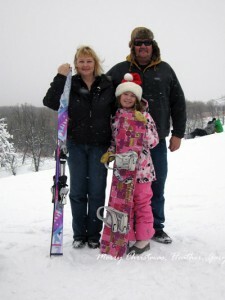 The Dewars have owned and operated Stony Mountain Ski Area for 30 years and have focused on making it Family Friendly. Stony was also the first ski area in Manitoba to embrace Snowboarding and certify snowboard instructors. 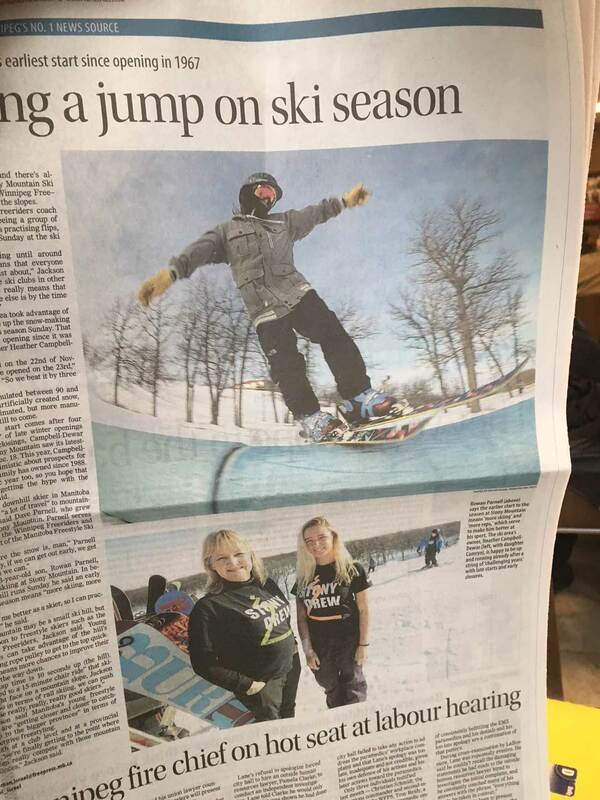 Stony plans on being open until the end of March and have snowboard and ski camps for Good Friday. The annual Slush Cup will take place Saturday March 31st. 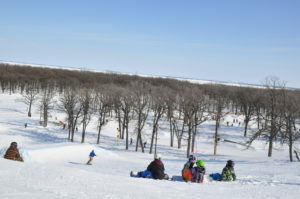 Stony Mountain Ski Area is located 8 miles north of Winnipeg and is celebrating their 50th Anniversary this season. They offer a full service rental shop and snow school. The terrain park is the best in the province offering rails, table tops, a ¼ pipe wall and numerous other jumps for the riders. 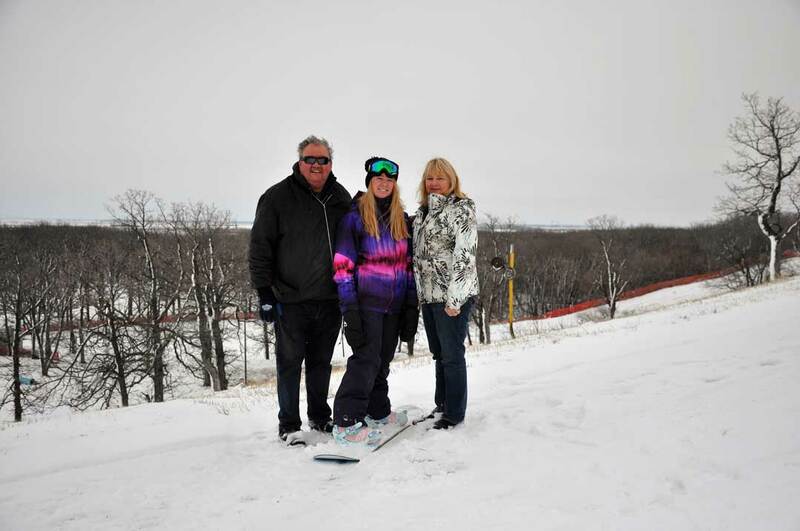 As the Season Winds-down we would like to thanks everyone for a great 29th season for the Dewar Family and 50th for Stony Mountain Ski Area. Thursday night skiing/riding is over for this year and we are playing Friday nights by ear and Mother Nature. We will have night riding this Friday March 16 and stay tuned for updates for next Friday. We have one more bonus day slated for Wed. March 21. 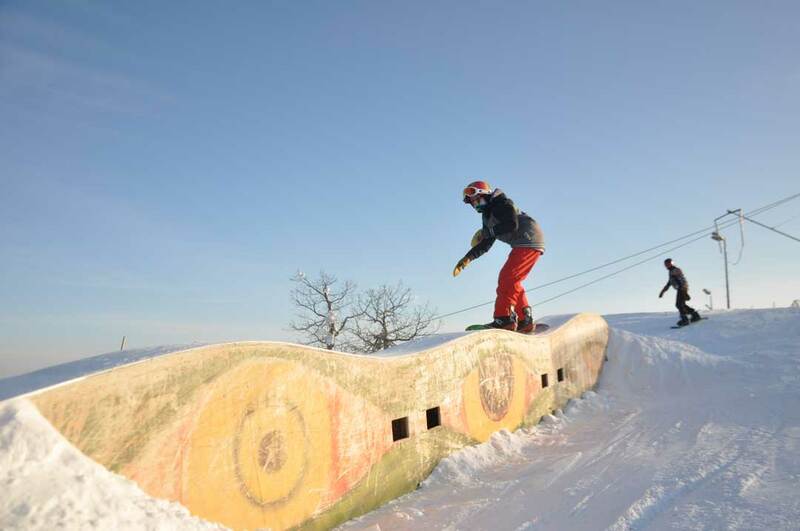 We will not be hosting a Rail Comp this year-just due to the amount of resources it takes. We will be having the Slush Cup but that is TBA subject to weather. We hope to be open for Good Friday on March 30th and that will be the end of another season here at Stony. Stay tuned for updates! Shaun White put down some amazing runs and Chloe Kim- what a teenage phenom! 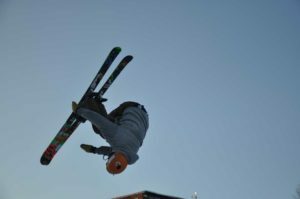 Freestyle skiing saw Mikael Kingsbury get gold. Justine Dufour-Lapointe made my knees hurt watching her conquer silver in the Moguls. Congrats also to Laurie Blouin who got silver in women’s Slopestyle and stayed on course despite the tremendous winds that seem to dominate Pyeongchang. Still waiting for the downhill skiing events. 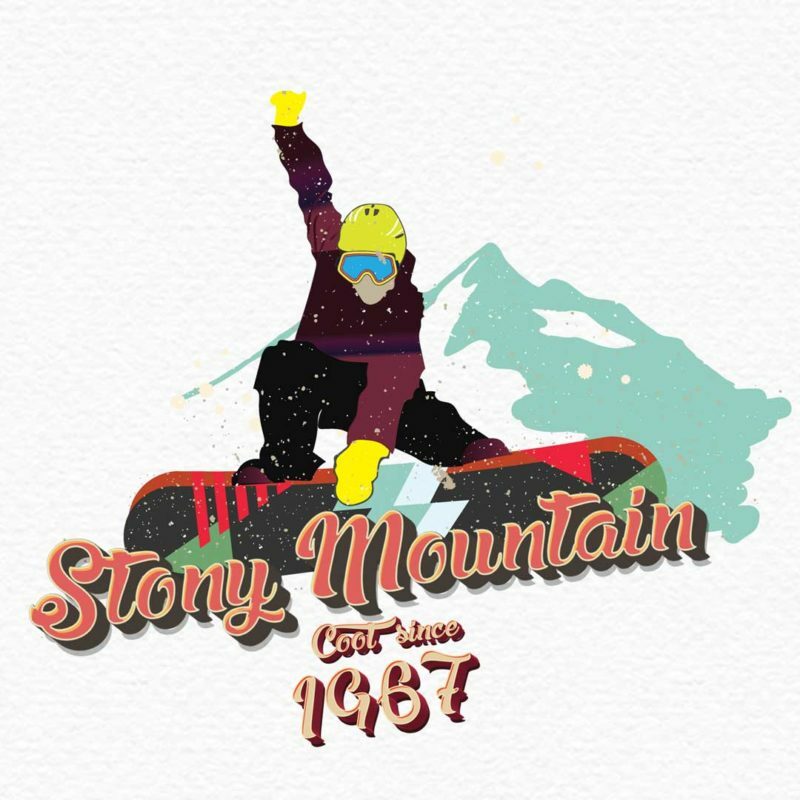 Gary and I attended the 1988 Olympics in Calgary and that fall we bought Stony Mountain Ski Area. An Olympic inspired purchase-not sure. 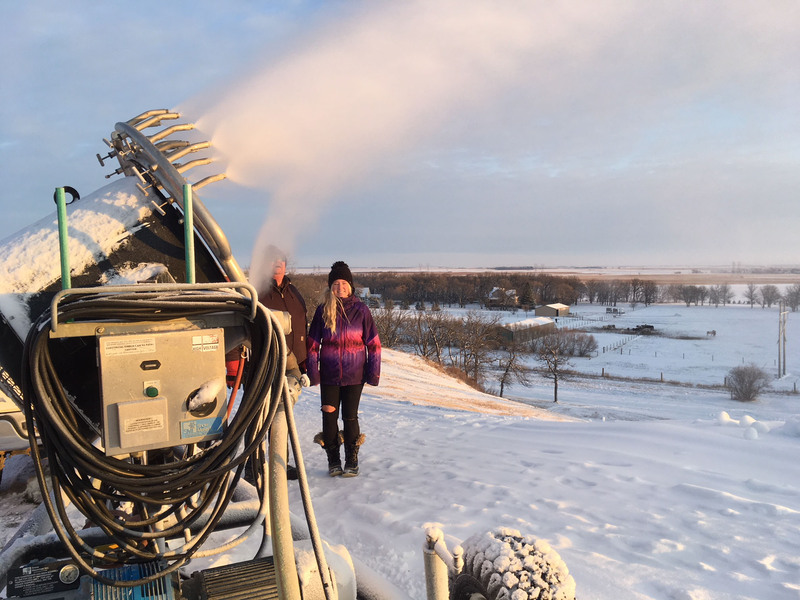 We will be closed December due to the high wind chills but we are making snow and will be open January 1st from noon-1 pm! 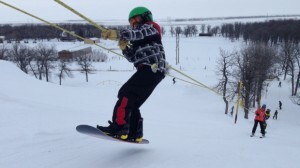 Warm weather in the forecast next week and there is still room in our ski and snowboard camps! Have a safe, warm and Happy New Year! See you in 2018! CBC TV came out and got some great footage and an interview about Stony’s record opening day for 2017! This is the earliest we have ever started snowmaking in our 29 years of owning Stony! Watch our website and social media to keep updated. December 2nd is our scheduled opening day but this may get moved up 🙂 Cross your fingers and toes! Thank you Mother Nature! 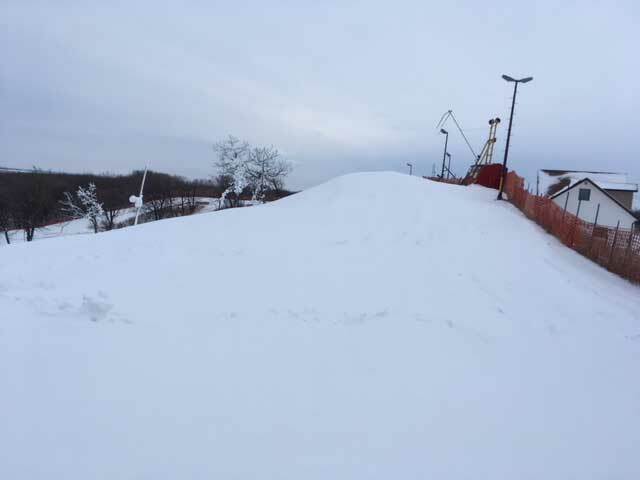 10 cm of snow has already fallen at Stony and we hope to start making snow Sunday or Monday! The season will soon be here! Check out our product pages and register for lessons, buy your season pass or do some early Christmas shopping! We will be posting pictures of the snow and count down the days until Opening Day! followed by a supervised lunch and then 1 hour of instruction in the afternoon. 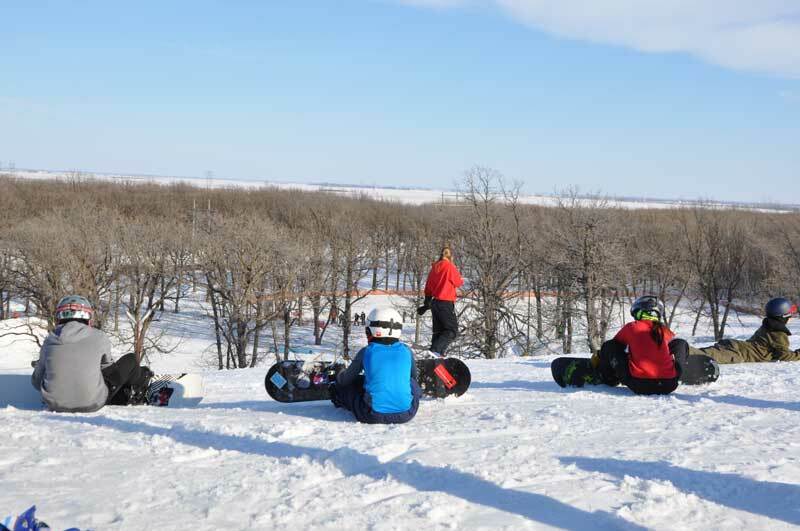 Campers are welcome to keep their rentals and ride the rest of the day until 5pm. Helmets are mandatory and there are no snowchecks for missed days.